Standard Fare: terrible name. Makes you picture some woeful early-70s, denim-clad blues outfit, widdling away while their tramp-faced lead singer gurns and grunts all over the shop. Thankfully, this is not what Standard Fare sound like. Quite the opposite, in fact. 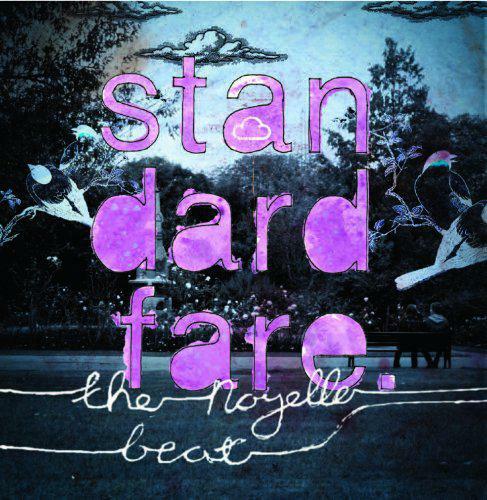 Their debut album, The Noyelle Beat, is full of clipped, punchy, spritely indie. Sometimes, as on 'Fifteen', this sounds like the chipper guitar-pop of The Housemartins. At other times, as on opening track 'Love Doesn't Just Stop', it's more like listening to the mannered bluster of Britpop also-rans Gene. Either way, we're in indie classicist territory, which is no bad thing. However, its effectiveness is diminished by the fact that almost every song treads the same lyrical ground: lovelorn and slightly twee expressions of romantic longing. Almost every song is addressed to a 'you' who has inconsiderately upped and left. Almost every song is stuffed to bursting point with hand-wringing expressions of impotence and powerlessness at the way a relationship has collapsed. Things aren't helped by the vocals of singer Emma Kupa. She sounds frequently overwrought and strays off-key on several tracks, completely overselling the emotion in the lyrics. Things improve on the songs where Danny How handles the vocals. Although by no means a great singer, he brings a breeziness to songs like the early Ash pop-punk of 'Edges & Corners' which makes them less of a chore to sit through. Another weak point is the lyrics, some of which are just horribly clunky. Check this, from moan-athon 'Married': "Now I've found someone I can get serious about/ I know we'll stay together when the chips are down." Really, Standard Fare should just write a song called 'Wet Blanket' and then move on. When they do stretch beyond such dreary and pedestrian fare, everything seems to suddenly come alive. Witness the witty and slightly risquÃƒÂ© 'Fifteen' about doing it with, well, someone of the underage persuasion. To be fair to Standard Fare, the hooks and tunes on most of the songs on this album could be totally addictive, if it wasn't for the fact that listening to them makes you feel you're being harangued by the neurotic ex from hell.